If your mother says she loves you, check it out. So goes an old journalism adage that has guided generations of young reporters, editors and producers along the career path to becoming seasoned, trusted sources of accurate information. It's a good rule to live by for everyone, not just journalists. Verifying that the information your organization is putting out is accurate should be a top priority for all, whether your organization is a nonprofit, a professional services provider, a consumer-focused business, a major corporation, or a small local business. Too often, however, information is published that clearly never went through a final fact-checking or copy-editing step. It is particularly important for those working in the communications business to ensure that those two steps are hard-wired into everyday work processes. Mistakes do happen - but they happen a lot less frequently when accuracy and verification are respected parts of the process. And that doesn't mean just for "big" projects, or for information from certain sources. Go back to that saying again: "If your mother says she loves you, check it out." It means that information should be verified regardless of how obvious it seems or how esteemed the source might be. Here are some tips and tools that should help. Get the names right. This is one of the most basic tenets of journalism, and back in the day when I walked uphill to school, both ways, barefoot in the snow, misspelling someone's name was a transgression that could get a young reporter fired. Don't let your organization publish a flyer for an event honoring your largest donor with the donor's name misspelled. Check business cards, v-cards, website biographies and more to verify names. The one time you don't check the spelling of John Smith is the one time it actually will be Jon Smythe. Don't assume the client is right. If a client emails you information about an event for use in a press release, don't take for granted that the names, dates or spellings in the email are correct. Look elsewhere to verify that information first. Websites, business cards, directories, event calendars and news coverage are good sources to check, but if there are discrepancies, sometimes a phone call to the source is needed to clear things up. Don't rely on spell check. Even when it works properly (and it often doesn't), a spelling check program can't catch instances where a word is spelled correctly but is simply the wrong word. Use the dictionary. Yes, a dictionary. And don't just google or go to dictionary.com. Anyone who calls herself a professional communicator should have an actual hard copy of a dictionary within arm's reach of her desk. Everyone in the organization should use that same one, too, so decide whether you will use the Merriam-Webster or Oxford American or Oxford English, and then stick with it. Follow established grammar and usage rules. Whether you are drafting pitches to send to the media or a press release to publish on a newswire, your news will be taken more seriously by professional journalists if it follows expected style guidelines. 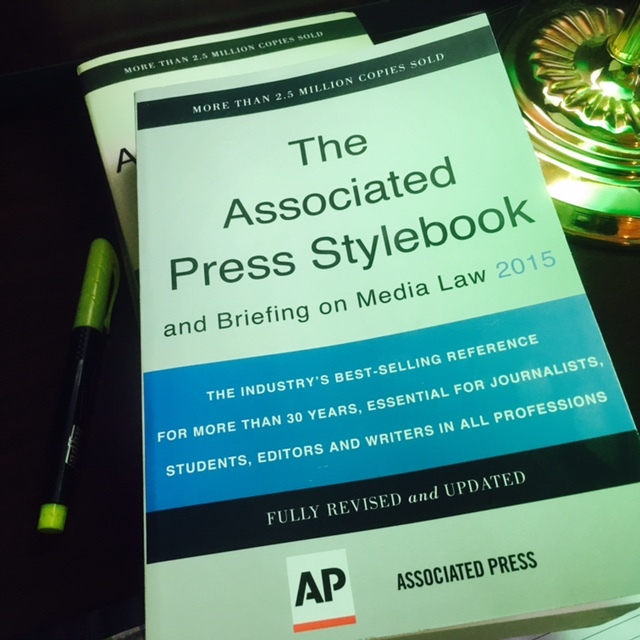 For most U.S. publications, that means following the Associated Press Stylebook. Violations of AP Style stand out like neon lights to veteran journalists, so mastering the quirks, such as when to abbreviate a month and when to spell it out, will help you establish and maintain a professional reputation. If you are a professional communicator, it is your job to help the organization you are supporting look its best. That means taking the time to verify information that clients might not have spared the time to check, themselves. It also means doing everything possible to ensure that that event flyer promoting a forum about "public education" didn't leave out the "l."
What tools or processes does your organization use to ensure the information it is publishing is accurate?